To trace the rich heritage of Parsi food, Restaurantindia.in visited Ideal Corner, the 30 year old Iranian restaurant operating at Fort in South Mumbai and spoke to its Next Gen Founder Parvez Patel. 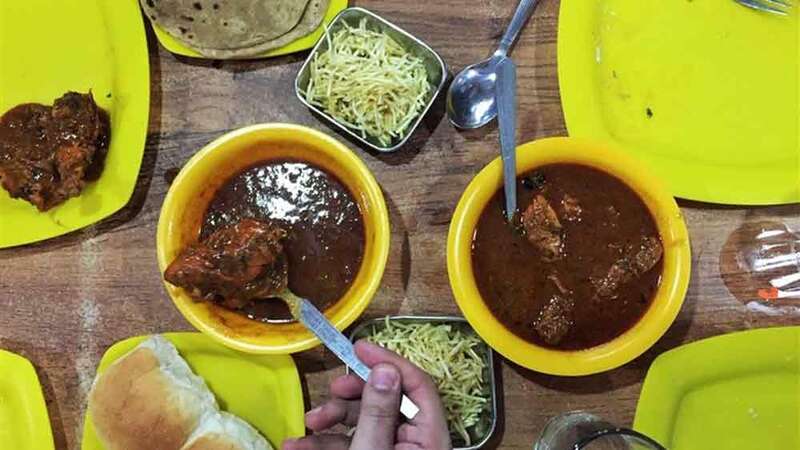 Mumbai, once known for its Iranian- Parsi restaurants serving chai bun maska, Dhansak and Kebabs is witnessing steady disappearance of these restaurants with growing influence of western exotic food with the current young generation. The city is left with just 20 Iranian restaurants so far. Thus, to trace the rich heritage of Parsi food, Restaurantindia.in visited Ideal Corner, the 30 year old Iranian restaurant operating at Fort in South Mumbai and spoke to its Next Gen Founder Parvez Patel. How has been the journey of Ideal restaurant so far? The journey so far was very comfortable. When we started, the hotel industry was a money making business. In the peak years of stock market from 1993 to 2000, our business was thriving, our restaurants were popular among peoples who use to come for trading and have lunch in our restaurant. In those days the restaurant would be packed with people, but now there is no single person. Ours was an absolute morning restaurant. We use to serve corporate people during working hours. Slowly, but surely this area is getting vacated, as most business houses and people have moved to central and sub-urban cities and we are left with very little business now. Our restaurant has served prominent personalities like Tatas and Balasaheb Thackeray. They use to love the food served at the restaurant. Since the restaurant was started by your aunt, how did you continue with its legacy? I was really fascinated with running a restaurant. Fortunately my aunt, Gulcher Irani who started this restaurant in 1985 made a very good beginning. Whatever she served and cooked was excellent and that developed a brand image, so I had a good platform to take off. I did my schooling in Nashik and shifted to Mumbai in 1979. My father wanted me do engineering, but as was not good in maths, after 10th I started working with Oberoi Sheraton hotel. Seeing this, my aunt asked me to join her and that’s how as I began my journey at the age of 29 as a bachelor. What is the USP of your food that defines its Iranian identity? The taste of our food preserved over the years speaks for itself. We only serve Parsi food which includes Dhansak and Kebabs, Mutton Salli Boti, Kheema Gotala or Fried Egg, Kheema Salli, Bheja Fry, Chicken Salli, Chicken Farcha n Chips, Chicken or Mutton Cutlet, Parsi Porto, Bharuchi Akuri among other leading dishes besides desserts. We are considered as value for money restaurant and always have been complemented for that. . Which particular parsi dish is largely preferred by the customers? Dhansak and Kebabs is the identity of Parsi food; Mutton Dhansak and Chicken Dhansak with brown rice and kebabs are the favourites among diners at our restaurant. Still many of our customers from India and abroad return to our place eagerly to taste our dishes which have ethically been maintained over the years. How you keep up with the same taste? Whether it’s a supplier, ingredients or whatever the inputs we purchase we keep the same for thirty years. I always do surprise checks on quality and remain vigil about quality so nothing has changed in our cuisine over the years. We tried European food meanwhile but it did not work. Why the Parsi restaurants are ceasing to their existence? Around 20 years back Vada Pav or Bun Maska Chai were the only choice a common man had but today the more cuisines and restaurants have come up. Current generation with growing spending power don’t prefer traditional wholesome. With the invention of internet the world has become a small place and everybody wants to try something else following which old style restaurants like us are beaten by the competition. Why the next generation of Parsi’s is not keen on continuing the legacy of their restaurants? Running a restaurant is a hard work. The current generation is very sophisticated. They lack greed, determination and passion to run the restaurant. They are very calculative with the mind and their practical knowledge is zero. They want fine branded, fully air conditioned restaurant with good looking staff and it doesn’t work. They think it’s a headache to handle the supply chain and rather they prefer to work for MNCs to earn handsome salary. Earlier there use to be mouth-to-mouth publicity of the restaurant and now it’s a more of show-off. Some Parsi’s are getting involved in restaurant business but not as many as before and since they understand the technology they are using it as a big help. But still the ratio of participation is 10/100. What are your future turnaround plans? We are still that old school guys, not tech savvy and smart phone and social media friendly which is pushing us back. Now, we are stagnant and there is a need of the hour that we have to innovate, twist our menu with keeping originality and becoming tech savvy to get more footfalls. We are planning a turnaround with campaigning on digital and social media to reach out to more people and convert them into footfalls. How to fuel an effective supply..